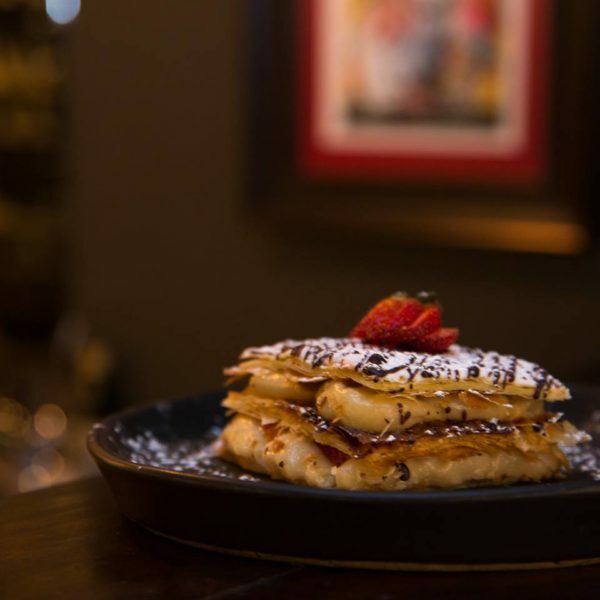 Bouchon Wine Bar & Bistro is situated in Hout street in the heart of Cape Town’s city centre. We arrive at an unassuming entrance behind big wooden doors and, going inside, find that it opens into a quaint, cosy interior. Its rich, dark colours set the mood for savouring delicious wines and gorging on unique dishes. The space is fairly small but accommodates enough patrons to make for a lively and convivial atmosphere. From the restaurant you can see through the glass barriers into Bouchon’s wine cellar, where beautiful barrels of wine are stored. 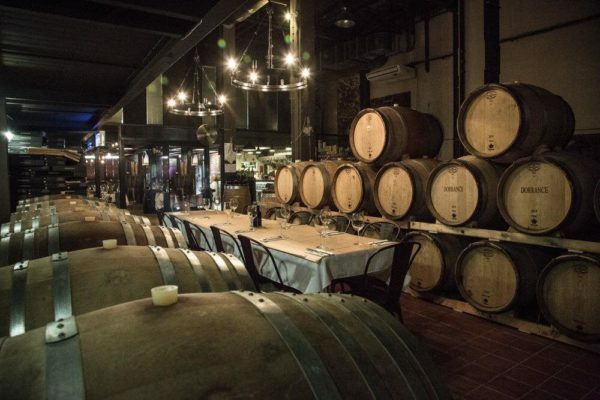 Bigger parties can even request to sit there and enjoy a birthday or celebration among the fragrant wine barrels. 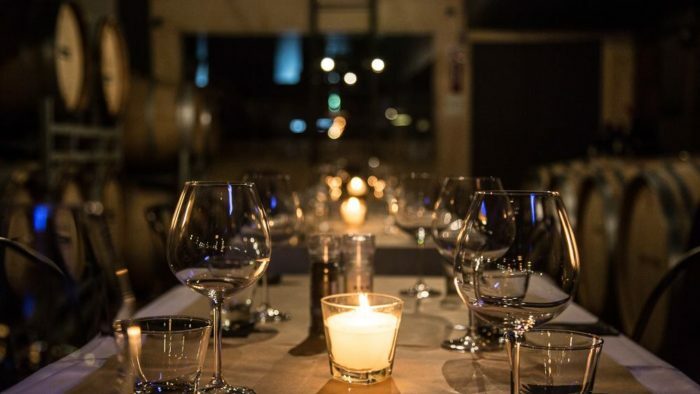 The food menu changes weekly and the wine list boasts both local and international wines. 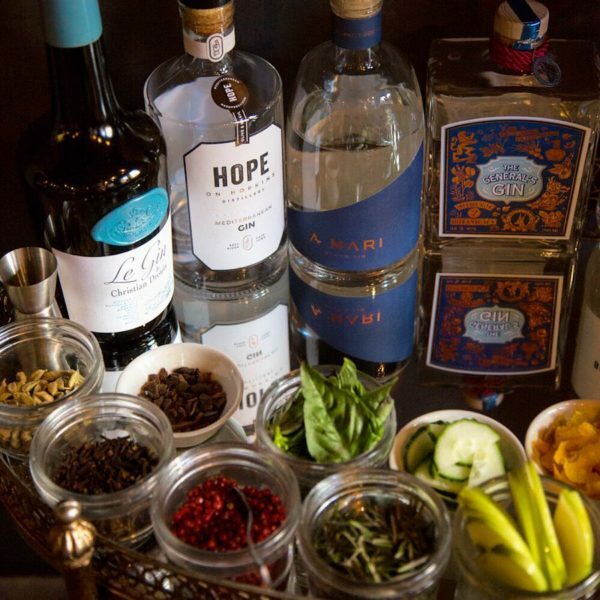 There is even a gorgeous gin trolley filled with artisan brands for those who aren’t the biggest wine drinkers. Light and fluffy bread sticks arrive on the table shortly after we are seated, and soon the wine is flowing and we are enjoying an exquisite meal. To start with, a fresh salad is chosen – a bed of greens plated on a base of whipped creamy feta cheese, which proves to be very tasty. The camembert starter is definitely worth ordering. 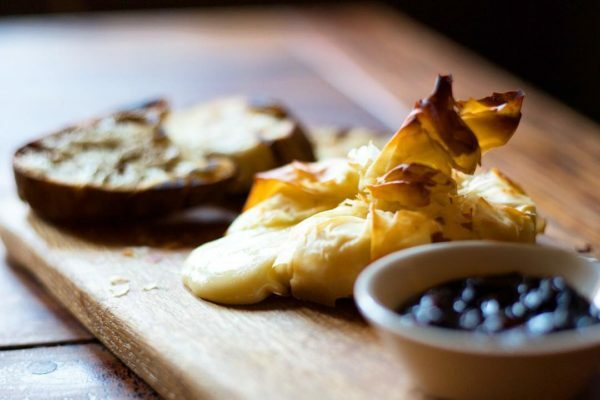 Bouchon has mastered the balance between the sweet and savoury here by drizzling honey over the cheese and accompanying it with crunchy bread. The fried squid and squid heads starter accompanied by paprika mayonnaise is also fabulous – a must-try for seafood lovers. We move on to the tapas mains, and select the artichoke risotto and the gnocchi dishes – one is mushroom and the other ox-tail. The artichoke risotto is rich in truffle flavours and surprisingly filling. 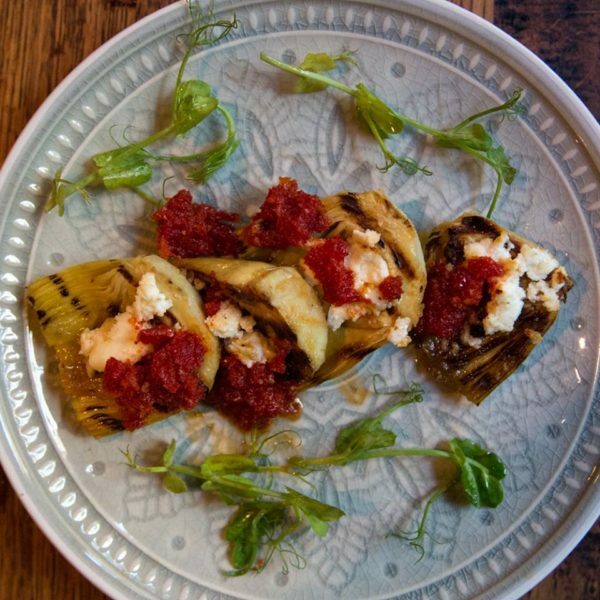 This dish is a great vegetarian option. The mushroom and ox tail gnocchi dishes, meanwhile, are incredibly moreish. One can well imagine becoming a regular here, not just because the food is delicious and easy eating but also because the menu is always fresh, being regularly updated. However, Bouchon’s signature favourites are always available regardless of other changes to the menu, so you can keep coming back to them.